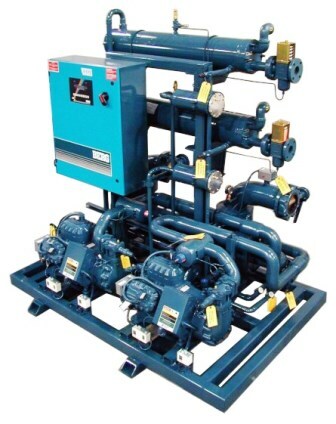 Berg’s water cooled central chiller industrial refrigeration systems are available in single or multiple compressor / refrigeration circuits, using single efficient semi-hermetic or scroll compressors as standard. 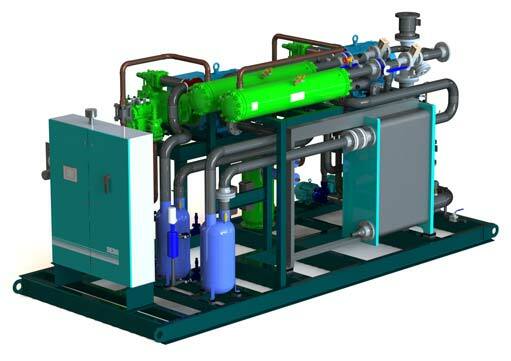 With options to suit your needs, including open-drive or screw compressors, industrial water chillers are delivered pre-wired, pre-piped and factory tested. 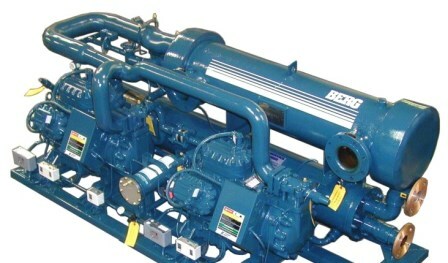 Sized from 10 to 300 tons or more and coupled with a pump tank set and a cooling tower, Berg water cooled industrial refrigeration units are manufactured for years of economical and reliable service. 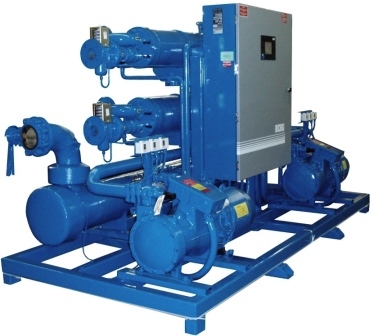 This system is used to control chiller units in a multiple central industrial chilling system. 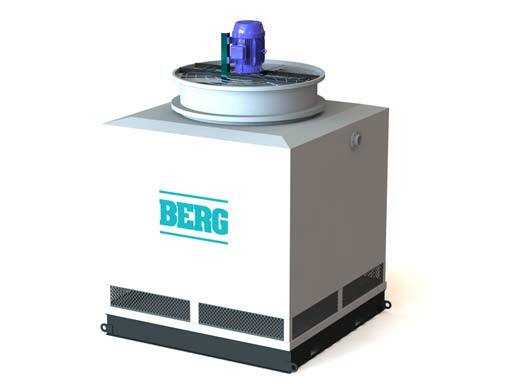 The temperature controller is located at the Berg tank and senses the process water temperature. 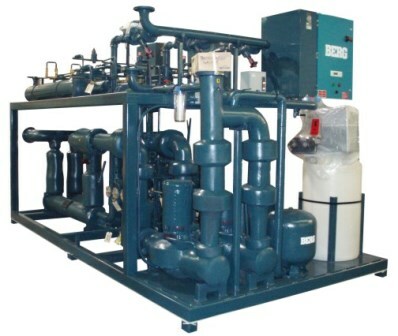 The process water temperature is maintained by cycling the chiller units.